This lot is conveniently located on Lost Canyon Rd. 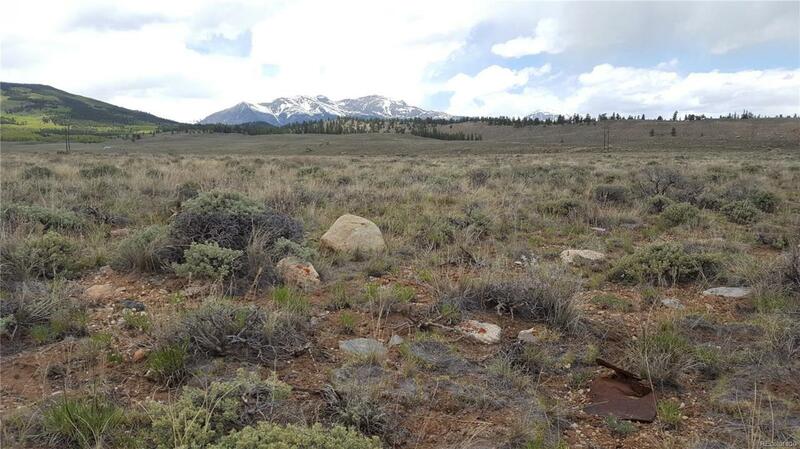 360 degree mountain views from sage-covered raw land in peaceful, quiet setting! 20 min to Leadville or Buena Vista, & only an hour to Aspen in summer. Private road, buyer must install well & septic. Gas & electric in area. Excellent internet & cell signals. Satellite wifi & TV available. No HOA. Few marked roads. Search for lots on Lake county GIS using Tax ID/Schedule Number. Lots are identified w broker's sign & short stake w orange tape. All have been surveyed & pinned in past, but boundaries are no longer flagged, & we have no surveys. Broker is happy to help you locate land.